Georgian townhouse located near the coast, in Bridport, Dorset. This high quality self-catering property accommodates 21 over 9 bedrooms. Perfect for families, special occasions and large groups. Luxury holiday farmhouse and cottage together sleeping 24, with sole use of the heated indoor swimming pool, sauna, hot tub, cinema and games room. It is the perfect setting for large family holidays. Symondsbury Manor is a lovely Tudor house one mile from the sea, riotously decorated with original art, fine fabrics and furnishings, all in glorious West Dorset. 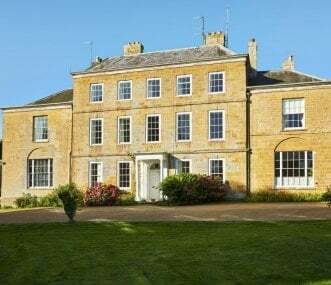 The Old Rectory is a very fine Georgian rectory listed grade II star. It is set in grounds with large lawns and flower gardens. Beyond the gardens is a beautiful valley with views to the sea cliffs. Wonderfully located on the beach at West Bay this beautiful cottage offers stunning holiday accommodation for a large family group or group of friends. 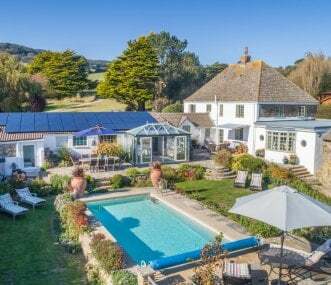 Stunning ancient farmhouse with modern comforts on Jurassic Coast. Ideal for large groups and celebrations. Independent renovated charming Cricket Pavilion, Dairy and Glamping Cabin also available. Graston Farm Cottages are four recent barn conversions into adjoining four star cottages. 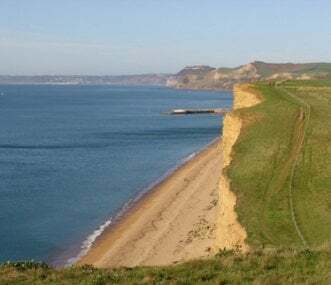 They are located in the tranquil and picturesque Bride Valley only 30 minutes walk to the Jurassic Coast. 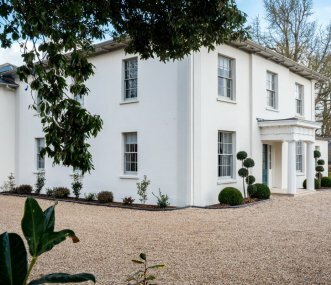 Set in 9 acres and surrounded by beautiful countryside, yet close to Bridport and the Jurassic Coast. Comfortable, well appointed accommodation for families and groups. Sleeps 4 to 28.